and has a few different – heads. Broccolini, which you may have seen in stores, has longer stems and it is a combination of broccoli and kale. Broccoflower may be a new term to you, but it is a cross between broccoli and cauliflower. Here’s the real kicker – broccoli is considered a human invention. It comes through various traits in kale plants, which have been bred in many different ways, creating various vegetables, such as brussel sprouts and cauliflower. Technically, broccoli is bred from wild cabbage and has changed over time due to these controlled various combinations of traits that change the flavor over time. One thing we do know for sure is that Thomas Jefferson was a fan of broccoli before it ever hit the American peoples’ radar. Jefferson loved to spend time in his garden and fiddle around with all kinds of new seeds and plants. So much so, he has earned the nickname, “the farmer president.” He kept detailed diaries and records of his garden, and there is written documentation from Jefferson himself discussing activity of broccoli in his garden in 1767. Although the Romans treated broccoli like a precious specimen of special occasions, the English, French and American people didn’t take to the vegetable as easily. It took time until those Italian immigrants slowly but surely eased the vegetable into the palates of Americans. These Italians sure knew how to start a booming business, since they helped broccoli become popular across the entire country within only a few years. They started growing it themselves in the States and shipping boxes to other cities, garnering advertisements and persistence beyond belief. In many ways, broccoli thrived, and with the sudden broccoli boom, came swift retaliation and judgment as well. The New Yorker Magazine published cartoons and witty sayings against the vegetable, suggesting ideals such as how kids hated it. To this day, the stigma remains in an overall sense, but due to the widely known health benefits, many healthy conscious households continue to make it a staple in their meals. On that note – there really is nothing negative to say about broccoli when it comes to nutritional benefits. How can you speak ill of a vegetable packed with Vitamin A, folic acid, calcium, iron, vitamin C, B1, B2, B3, B6, magnesium, potassium, and zinc? Broccoli has it all, and there is no argument against it. Thankfully, broccoli is available year-round, peaking from October to April. As a consumer, you want to take a good look at the broccoli in hand before adding it to your cart. As one would have guessed, the darker the heads, the richer the nutrients should be. The end of the stalks should be closed, as this shows the plant is newer, healthier and will give you the most shelf life. 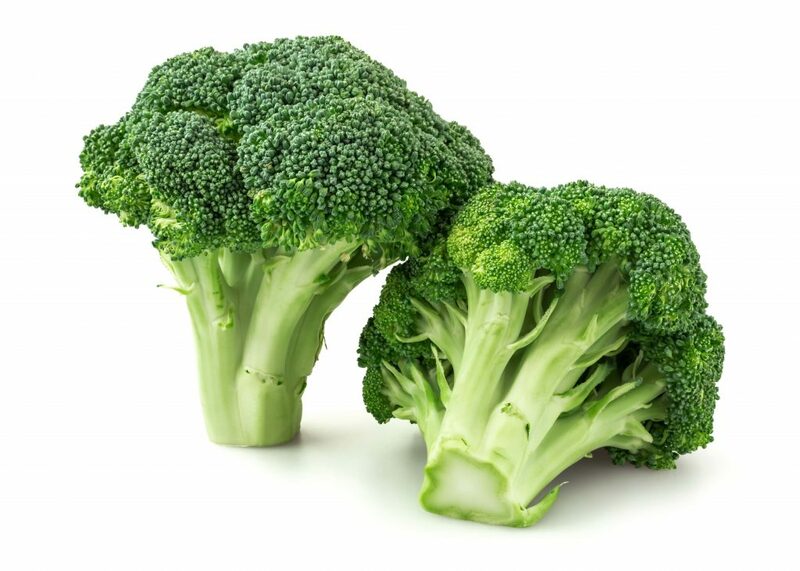 You don’t want to see open porous stalks that could have water and other deterrents in it that suggest the broccoli is unhealthy. It is recommended that you immediately put your broccoli in a plastic bag in the refrigerator when you get home after purchasing. This helps with shelf life, and also to help preserve those precious nutrients you bought the famous vegetable for in the first place! Now it’s your turn to take it away! This is a vegetable that is incredibly diverse by way of consumption. Eat it raw, steamed, stir-fried, boiled or turn it into soup or sauce! Your options are endless since the broccoli taste itself is a bit subtle and can be doctored up or down any day of the week.